Your Stoughton Lawn and Landscape Specialists! AMS Lawn and Landscapes has been providing excellent custom services to their clients since it opened in 2011. Our reputation is as one of the premiere Stoughton, WI area professional lawn care and landscape providers. As a full service lawn maintenance and landscape company, AMS Lawn and Landscapes can service your gardening, lawn care, and seasonal clean up as well as design your new flower bed. AMS Lawn and Landscapes promotes an honest, reliable and positive work environment in order to best serve our client’s needs. When you trust your lawn care and/or landscaping project to AMS Lawn and Landscapes, you can be sure that you are receiving the absolute best quality and customer service possible. AMS Lawn and Landscapes is proud to serve Stoughton, WI, Cottage Grove, WI, Oregon, WI, Sun Prairie, WI and the entire Greater Madison, WI area. We offer free consultations for all customers that are considering our services. You can trust that you will find the best service from AMS Lawn and Landscapes. Your yard can be a retreat from today's busy and often stressful lifestyles. 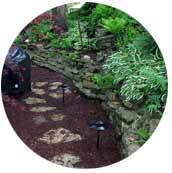 Every landscape we do is unique, functional, and designed to fit your needs and budget. AMS believes that outstanding customer service coupled with amazing yard care is what sets our Stoughton Lawn Mowing and Yard service apart from the rest. Do not find yourself trapped inside by the snow outside. Our trucks are fully equipped to help you when the winter weather comes. Always on-call and ready to help. AMS Lawn & Landscapes has earned the reputation as a premiere lawn, landscape and maintenance company in Stoughton, but don't take our word for it, see what our clients say about our service and quality. AMS Lawn & Landscapes is a lawn care, landscaping and snow removal company located in Stoughton, WI. 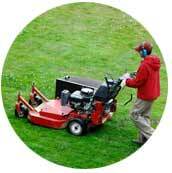 We offer a complete line of lawn, landscaping & snow removal services to both residential and commercial clients. 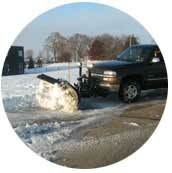 For a free estimate of your landscaping, lawn care and snow removal needs please call 608-807-3320.